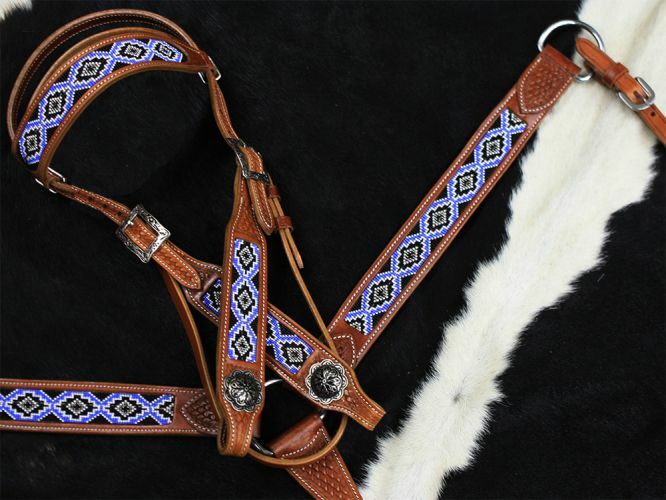 Showman ® Periwinkle beaded inlay headstall and breast collar. This set features medium leather with basket weave tooling and a periwinkle aztec beaded inlay design accented with engraved conchos. Headstall comes with 5/8" x 7' leather split reins.